As I mentioned yesterday, Jamie and I came up to Salem, Massachusetts to spend a couple of nights at the Hawthorne Hotel before bringing Amanda back down to Connecticut for her Christmas break from college. True, I could have just driven up on Friday to pick the oldest daughter up but I was offered the opportunity to check out the two "haunted" rooms at the Hawthorne after I did a blog post about our stay here back in September. 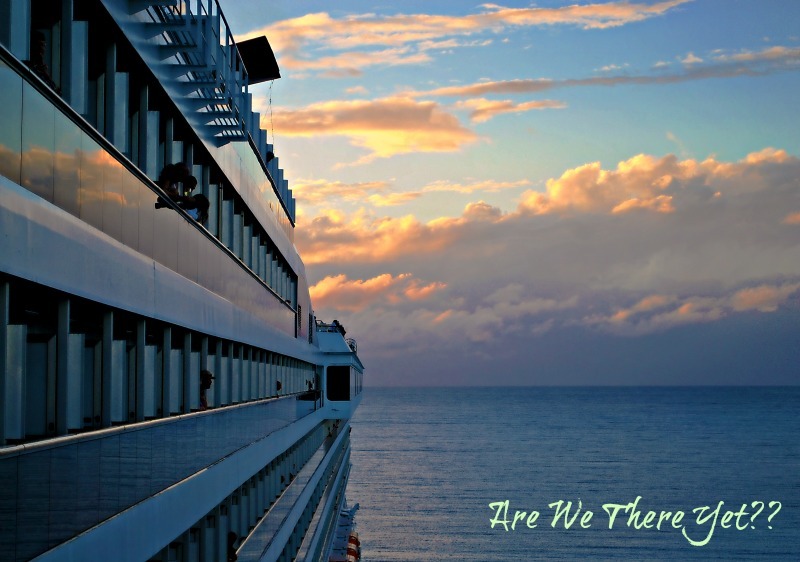 Turns out that the General Manager of the Hawthorne, Juli, also writes a blog and she and I struck up a bit of a correspondence after I wrote my post. When I asked her about the accuracy of the post that I had written as I hate to write something that I think is true but later turns out not to be, Juli pointed out a couple of inaccuracies based on misinformation that had been going around for awhile (there's a mix-up between the Hawthorne Hotel and the Lyceum Restaurant - both of which were featured on the same Ghost Hunters episode) and also said that ". ... no one has ever proved that there is anything haunted about the Hawthorne Hotel. Maybe you will be the first?" Well, of course you knew that I just had to pursue that! There are stories about room #325 at the hotel - stories that tell of bathroom lights and plumbing turning on seemingly of their own accord as well as strange sounds and sensations such as a child crying and invisible hands touching guests. In room #612, one the hotel's suites, a spectral woman has been seen to wander the hall pausing in front of the room. Within the room itself, some guests have claimed to feel an unseen presence sharing the room with them. Now I'm no ghost hunter and not particularly brave when you get right down to it but I am the curious sort so knowing that I had to come back up here to pick Amanda up in December, that seemed like the perfect time to pay another visit to the Hawthorne which - haunted or not - is a very fine establishment. I've grown a fondness for historic hotels and the Hawthorne is most definitely that as well as run by a staff of wonderful folks, extremely comfortable, and boasts some nice dining opportunities also. Besides, they make me feel special which is always a hallmark of a fine hotel! Placing the homestead into the capable hands of my good friend and occasional handyman Andrew, Jamie and I made the now familiar trek north but this time I decided to mix it up a little and drive through Boston rather than take the Mass Pike. 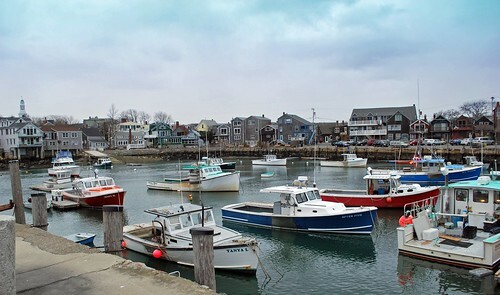 The traffic was actually a breeze and we got to the Salem area with a decent amount of time to kill before check-in so I continued out to Cape Ann as there were a couple of things I wanted to try to get pictures of. 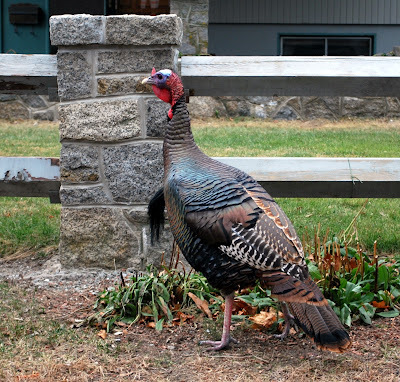 Believe it or not, this fella and two other turkeys were chasing a mail truck ... I kid you not! I wonder what they would have done with it had they caught it?? 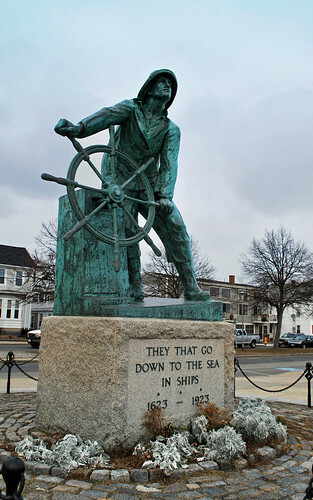 Anyhow, we got to Gloucester and I had no trouble in finding the object of that photo hunt - the Gloucester Fisherman's Memorial which stands overlooking Gloucester Harbor and honors the thousands of fishermen that were lost at sea during Gloucester's first 300 years. 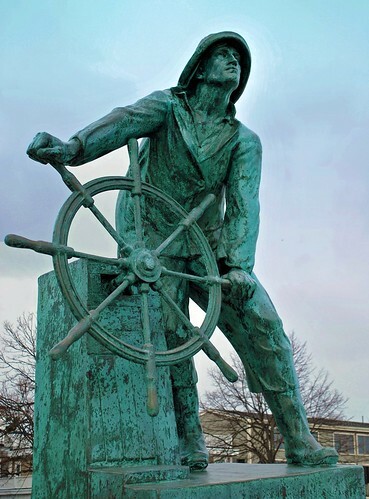 Also known as "The Man at the Wheel", the 1925 statue was designed and erected to commemorate Gloucester's 300th birthday and was modeled after Captain Clayton Morrissey, a prominent Gloucester fisherman. I'd always wanted to see it in person and now I can say that I have minus the large crowds of people who flock into and around Gloucester when the weather is nicer! I can't wait to hear if you have a spiritual experience. And if you do that it's a friendly one. A goot Hotel/Inn is a great find. It's even better when they make you feel so comfy that you want to come back! Haha, I love the turkeys. Such crazy animals. 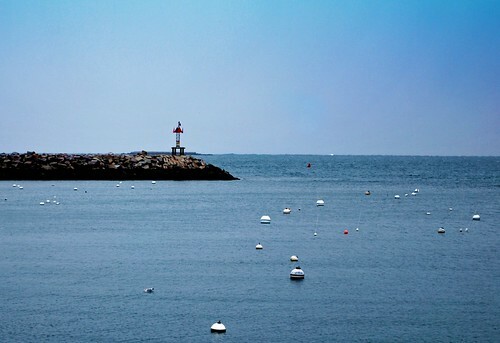 I love the picture of the boats and harbor. What Zane said. I know you already knew that. Jamie cracks me up. Should be a great story here. Awesome turkey! I thought it was a statue. And Jaime is a HOOT! I already told you but I just adore that red "shack". That's some shack. Just saying. I love Jaime's expression there! love jamie AND the turkey! OMG! 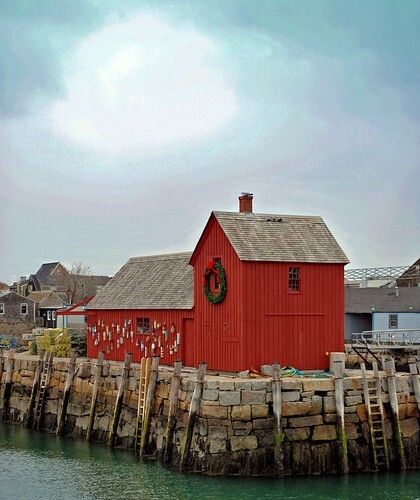 I absolutely LOVE the red building with the wreath and the lobster trap bouys! FAVORITE!!!!!! Glad you can enjoy traveling with the girls. Hopefully they didn't drive you nuts with bickering. Can't wait for the next post.